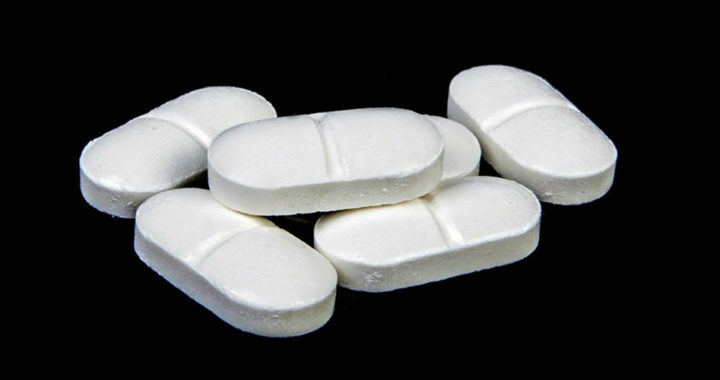 Metformin is a prescription drug used primarily as a first-line medication for the treatment of type 2 diabetes. It has also been used in the treatment of polycystic ovary syndrome or PCOS. Emerging studies have suggested the possible use and effects of metformin in the treatment of diseases related to aging. A review study by Silvio E. Inzucchi et al. noted that the American Diabetes Association and European Association for the Study of Diabetes recommended metformin as the first-line drug for the treatment of diabetes, especially to manage hyperglycemia unless there are prevalent contraindications. The article by Amir Qaseem et al. represented the position of the American College of Physicians with regard to the use of metformin as an initial oral pharmacological therapy to treat most patients with type 2 diabetes, particularly when lifestyle modifications have failed to manage hyperglycemia. Considering the recommendations from reputable medical associations, it is important to understand how metformin works in the management of type 2 diabetes. Nonetheless, this drug works primarily by decreasing the production of glucose in the liver, reducing the absorption of glucose in the gastrointestinal tract, and increasing the insulin sensitivity of cells in the liver, skeletal muscles, endothelium, fat or adipose tissue, and the ovary. Metformin also has several benefits for diabetic patients. For example, when compared with a class of anti-diabetic drugs called sulfonylureas, a systematic review and meta-analysis of randomized clinical trials by Bianca Hemmingsen et al. revealed that metformin had a lower risk of severe low blood sugar levels. However, the same study also mentioned that individuals treated with sulfonylureas had a lower risk of non-fatal cardiovascular events than those treated with metformin. There are also benefits regarding weight management. The meta-analysis of K. Johansen found out that metformin had negligible to no effect on body weight of individuals with type 2 diabetes compared with placebo. The same study noted that sulfonylureas are associated with weight gain. Also, the study of Shari Bolen et al. also concluded that similar to sulfonylureas and when compared to new generations of anti-diabetic drugs such as thiazolidinediones, alpha-glucosidase inhibitors, and meglitinides, metformin superior effects when it comes to modestly reducing low-density lipoprotein and triglyceride levels. A large clinical trial spanning from 1980 to 1990s called the United Kingdom Prospective Diabetes Study revealed evidence suggesting that the use of metformin lowered the risk of overweight individuals with type 2 diabetes from developing adverse cardiovascular diseases. This study noted that individuals with type 2 diabetes and treated with sulfonylureas demonstrated a decrease in the progression of microvascular disease and possible reduced risk of heart attacks. Hence, it wanted to investigate whether the same was true for metformin. However, more recent studies and trials, such as the systematic review of Elizabeth Selvin et al. and the meta-analysis of randomized controlled trials of Rémy Boussageon et al. have questioned the results of the U.K. Prospective Diabetes Study, thereby reducing the confidence in the efficacy of metformin in preventing cardiovascular diseases. There is no concrete evidence as regards the effectiveness of metformin in reducing the risk of cardiovascular diseases in overweight individuals with type 2 diabetes. The separate position articles of Inzucchi et al. and Lars Rydén et al. noted that the American Diabetes Association, European Association for the Study of Diabetes, and the European Society for Cardiology now consider the cardiovascular benefit of metformin as ambiguous and open for contention. Note that metformin has also been used to treat people at a pre-diabetes stage who are at risk of developing type 2 diabetes. A three-year study in the United States called the “Diabetes Prevention Program” recruited and followed participants for an average of three years. These participants were subsequently divided into three groups: the lifestyle intervention group, metformin group, and placebo group. Results revealed that the incidence of diabetes was 58 percent lower in the lifestyle group or the groups of individuals subjected under a multifaceted lifestyle intervention program aimed at preventing type 2 diabetes. Diabetes incidence was 31 percent lower in the metformin group. However, results also revealed that lifestyle intervention was no more effective than metformin in young individuals with higher body mass in preventing diabetes. In addition, when compared to the placebo group, especially involving older individuals with a lower body mass index, metformin was also not effective in preventing diabetes. A follow-up study came within the initial “Diabetes Prevention Program” study. Its results revealed that after 10 years, the incidence of diabetes was 35 percent lower in the lifestyle intervention group while 18 percent in the group administered with metformin. A systematic review and meta-analysis by Muriel Lilly concluded that it remains uncertain if metformin played a role in slowing down the progression from pre-diabetes stage to type 2 diabetes or that the decrease of diabetes incidence among individuals taking metformin was due to the glucose-lowering action of metformin.